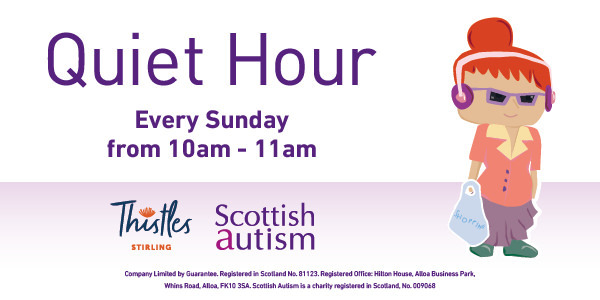 Thistles, Stirling has confirmed it will now host a quiet hour in the centre every Sunday beginning on the 20th of January, 2019. The move follows a well-received response by customers affected by autism to the centre’s existing quiet hour which currently operates once a month. Stores in the centre will participate in the new weekly quiet hour between 10am and 11am by adjusting their lighting where possible and turning off in-store music. Thistles has been working alongside national charity Scottish Autism to build understanding of the condition across the retailers. There will also be information on display where the public can find out more about autism and the types of support available.